There is a human trait that is always looking for a simple answer, in IT you rarely find one but it does not stop the hunt. Knowing this, vendors put a gaggle of solutions of disparate architectures together under a single marketing name and hope that customers do not spot the folly. In 2013 we have seen just this practice from both IBM and SAP in the mobility space. In the case of each company, innovation was acquired by buying mobility companies and then bundling these acquisitions under a single marketing banner. Alas, even the best of marketing cannot make disjointed products into a unified platform. Similarly, key industry analysts try to define the mobility market as a single, two-dimensional square even though the market demonstrates a variety of customer profiles and requirements. 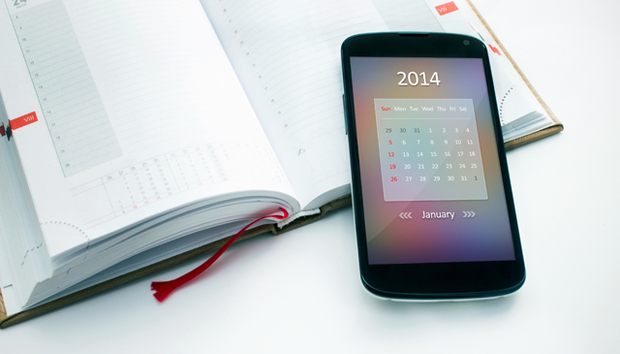 This sets the stage for the big issue CIOs have to face regarding mobility in 2014. We have a scenario where a market demand has arrived – everyone in an enterprise has a smartphone or tablet but rarely do they have corporate apps that use this environment. Boards are asking their IT departments to stop the multi-year projects to upgrade their ERP or change their middleware supplier; rather they want focus to move to getting the corporation into the cloud and mobile fast. CIOs then turn to their trusted suppliers of ERP and infrastructure and ask them to help. Their answer is unconvincing even to the committed brethren. So the CIO goes to industry analysts and is given an unnerving market scenario. None of the main IT market players have yet achieved a demonstrable and committed strategy for mobile. On top of which many smaller, more innovative companies do not have a single solution for all of their mobile needs. So after decades of many CIOs investing in a single mega vendor for corporate applications, another for infrastructure and a third for services, the world has changed. Mobility is a game changer and innovation rules. Consumer Marketing Apps: Simple transactions where the marketing message and brand are paramount. Consumer users are not trained so simplicity of use is essential. The ROI for these apps is like any marketing campaign though response is easier and quicker to gauge than traditional media. Apps for Your Organization’s Customers: Again, simplicity is king but as financial transactions and regular use are part of this type of application, reliability, scale and security must also be considered. These are important to market share and have a strong ROI. Apps of Record: These types of applications extend administration activities to employees on mobile devices, such as expense or travel request submissions. These applications are not mission critical to company success and have almost a zero ROI. As a result, low cost mobile web extensions will be suitable apps for administrative tasks. Industrial Apps: Line of business apps for field workers delivering products or services require strong integration, scalability and in-field recovery concepts. ROI is almost immediate with these types of applications and many are essential if market competitiveness is to be maintained. CIOs must identify the area of business that has the greatest return and determine the level of urgency to start a project. Vendors should be selected based upon financial viability, longevity in the market, reliable references, quality support and a commitment to long-term evolution of their product. Be sure to test the market. Although a vendor name may not be familiar, it may be the one of the most responsive and rewarding IT engagements your company experiences.